Schneider Historic Preservation, LLC provides a full range of historic preservation consulting services, specializing in the certification of projects for historic rehabilitation tax credits, National Register nominations and historic resource documentation, community preservation planning, and design review in historic districts. Mr. Schneider's professional historic preservation career spans 36 years, during which time he has successfully completed a diverse range of projects for both private and public sector clients in fifteen states and one other country. Historic preservation projects often involve the varied interests of clients, regulatory agencies, advocacy groups, and the public. Having worked extensively in both the nonprofit and for-profit sectors, Mr. Schneider is an effective advocate for his clients’ interests and is skilled at finding creative and practical solutions for complicated projects. In 2013, Mr. Schneider was engaged by the Alabama Historical Commission to assist with the preparation of regulations and procedures for the Alabama Rehabilitation Tax Credit Program. Since that time, he has represented projects involving more than $315,000,000 in proposed rehabilitation work and more than 2,100,000 square feet of building space for clients seeking to utilize state and federal historic rehabilitation tax credits in Alabama, Florida, Mississippi, Pennsylvania, South Carolina, and Tennessee. McNair Historic Preservation, Inc. is a national Historic Preservation consulting firm offering clients a range of services including government relations, historic tax credit and economic incentive consultation, historic economic development project management, historic real estate and design consultation, and research/fieldwork services to document and promote your historic assets. 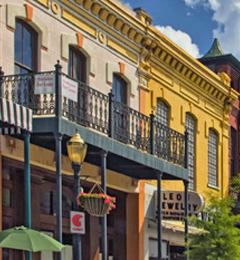 Based in Mobile, Alabama, our staff provides the expert services you need to find the greatest value and solutions for your historic property, while also balancing contemporary realities. 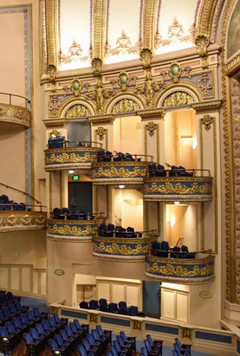 McNair Historic Preservation possesses an expert understanding of government policies and application requirements for navigating through local, state, and federal regulations as we shepherd projects through all phases of the regulatory process. Whether you are a homeowner, developer, municipality, corporation, or attorney, we offer services to assist you with your project and maximize the value and historic integrity of your property.